Ginger High- Books R Us: HOLIDAY OPEN HOUSE GIVEAWAY- A CHANCE TO WIN OVER $2,000 WORTH OF PRIZES. HOLIDAY OPEN HOUSE GIVEAWAY- A CHANCE TO WIN OVER $2,000 WORTH OF PRIZES. The Blogmania Dream Team is hosting a Holiday Open House Giveaway starting November 1st! The Dream team will be posting one or more blog posts that are giving tips and ideas on Holiday entertaining. There are many blogs participating and there will be many different ideas being offered. YOU CAN PARTICIPATE IN THE FUN! If you post a Holiday entertaining post between November 1st and 10th and link it up to my post's Linky, you could be entered to win $2000 worth of prizes. That would be great for the holiday season. I will give you more details on November 1st but you will have 10 chances to win. 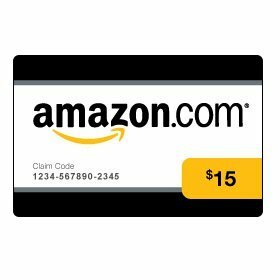 To get you ready for the Holiday season and maybe help with some early shopping, I am giving away a $15.00 gift card to Amazon.com. How to Win: Leave all entries in one comment. follow my Google Friend Connect And leave a comment that you did. Your event button is on the sidebar of my blog.